Simple in design, vast in versatility and delivering in performance the Jackall Rhythm Wave Swimbait delivers a perfectly balanced presentation which draws attention from hungry onlookers. 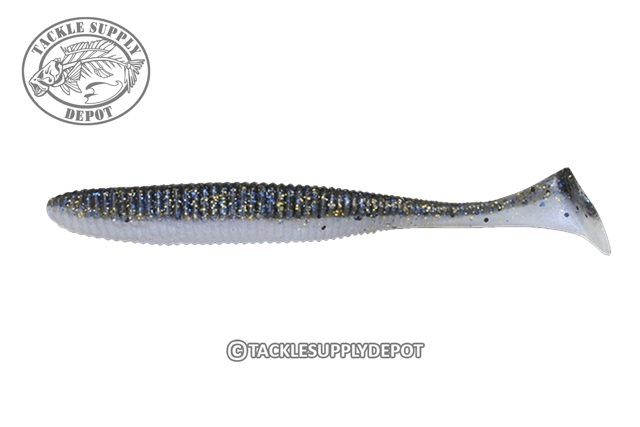 Designed with a keel shaped body and shad style paddle tail the Jackall Rhythm Wave offers a seductive wobble and an attention drawing kicking action. Perfect for rigging on a jig head to slow roll shoreline or structure as well as for pairing on an Umbrella Rig for an irresistible schooling action. Love them. On lakes where fish focus on schooling fish you can't beat them. Paired with a 3/16 ounce micro finesse tungsten ball head it's a winner. These jackall swimmers have a profile similar to yamamotos heart tails but with a traditional paddle tail. The things get bit and hang on. I've yet to pull a second one out of the package, the first one is still going strong and it even caught a pickerel. Tough as nails.